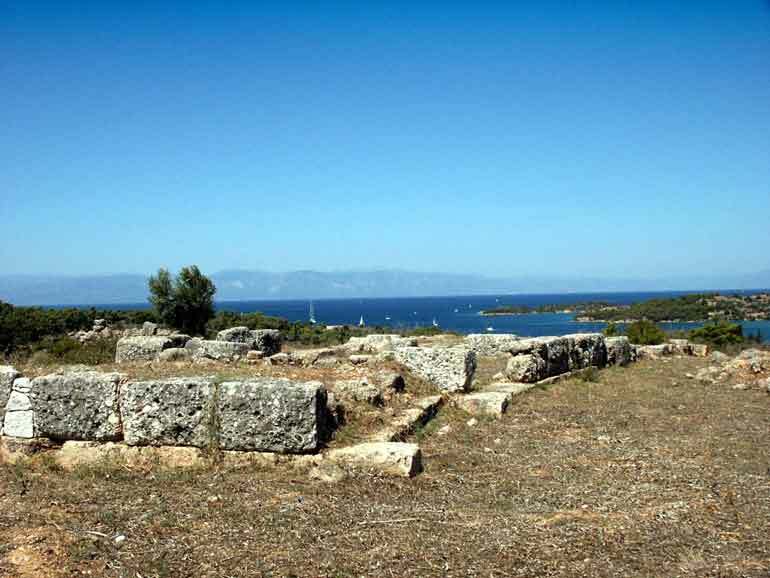 2,500 years ago, the bay of modern Porto Heli would have looked pretty familiar to us now – a great protected bay, with hills no doubt covered with olive trees. But there was no Porto Heli that we could recognise, though there may have been buildings and farms which have completely disappeared. What we would have seen was a compact walled town called Halieis that lay on the southern side of the bay (opposite the hotel), with ships pulled up on the foreshore or riding at anchor. Above the town was the acropolis, the high town, with defences to give refuge to the lower townspeople from enemies and pirates. The bay provided protection from storms from the east or south.